Enter to win a $25 coupon code for Blurb so you can create a custom appointment book, for free! Personalized 2013 weekly planners featuring your favorite photos start at about $24.95, so follow the simple steps below for a chance to get $25.00 off and create you own free planner. or on the Tripawds Facebook page. Mention and link to this contest. Comment below to tell where you posted your picture. We will pick one lucky winner at random, from everyone who follows all the directions above. Drawing to be held Tuesday, December 18, 2012.. The winner will be notified via email and in the comments section below. The winner will be sent a promo code valid for $25 towards a Blurb planner book you create. It is a one-time use code with an expiration date of 2/28/13. *Don’t have a Tripawds blog? Start one now in minutes, it’s free! †Need help embedding images in forum posts? 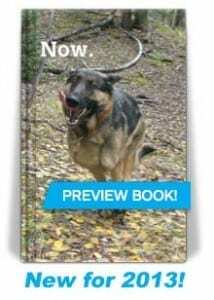 In case you missed our posts about the 2013 Tripawds Now appointment book and how easy it is to make a custom weekly planner, here is your chance to make your own for free. Can’t wait? Start your planner now. Share a photo and leave a comment, you might just win $25.00 off! With Blurb BookSmart, you can save your book project until you are ready to order. Order Blurb books by 12/17/12 for delivery by 12/24/12! 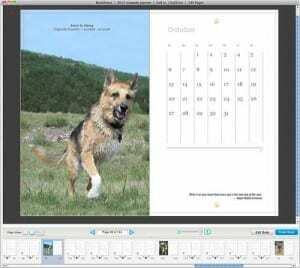 Save On 2013 Tripawds Weekly Planner Now! I also shared a picture of Sasha on the Tripawds Facebook page! Pawesome! Keep those entries coming. But for the record, the winner will receive $25 off a custom planner they can create, with their photos, not the Tripawds Now planner. Posted Balki’s pic on Tripawds Facebook page, and shared the link on my page. Yay! hello! posted the happy photo on your Facebook page with the contest link. happy week before Christmas to all! Thank you all for playing along. We will be sending Lili the $25.00 Blurb coupon code via email, and looking forward to seeing her custom weekly planner featuring photos of Sasha and the pack. Everybody wins here! Use Blurb Coupon Code BOOKS15OFF for 15% off any custom photo books you create!